The museum was founded in 1983. Its mission is to preserve, store, and interpret the heritage and history of the industries and people of the River Wandle. On this website you will find information on many of the different industries that used the River Wandle. This includes the likes of Young’s Brewery at Wandsworth, William Morris and Liberty’s at Merton, Connolly’s the leather makers plus the lavender, snuff and dye industries. You will find information about the mills which existed in Croydon, Carshalton, Mitcham, Merton, Wimbledon and Wandsworth that used the river. In addition, there is information about Merton Priory and the first public railway The Surrey Iron Railway. The pages also include news about new exhibitions and any events we are running or attending. There is information about visiting us – the only way to really get to know the river and its former industries, as well as The Wandle Trail and our Outreach Programme for schools and other groups. 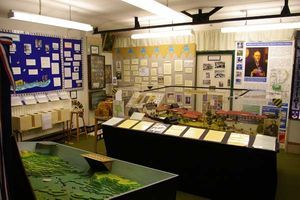 We hope that you will find the information about The Wandle Industrial Museum of interest and that it will encourage you to visit us. We look forward to seeing you soon.